Check out Chippewa Valley Community Television's archive video of the Eau Claire City Council's meeting from October 24, 2017. Skip forward to 13:40 to hear the Council's much-talked-about discussion and eventual decision concerning council decorum – the first of its kind – specifically regarding whether to allow children on the dais. 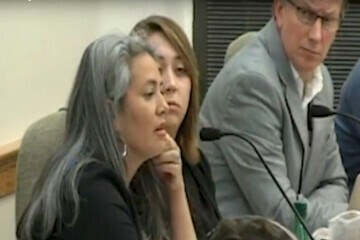 The issue has sparked a debate over what's distracting to both city council members and the public, with many people focusing on the ability of city council members to breastfeed their children during council sessions.